Narcos is yet another addition to the recent boom of quality Netflix original programming. 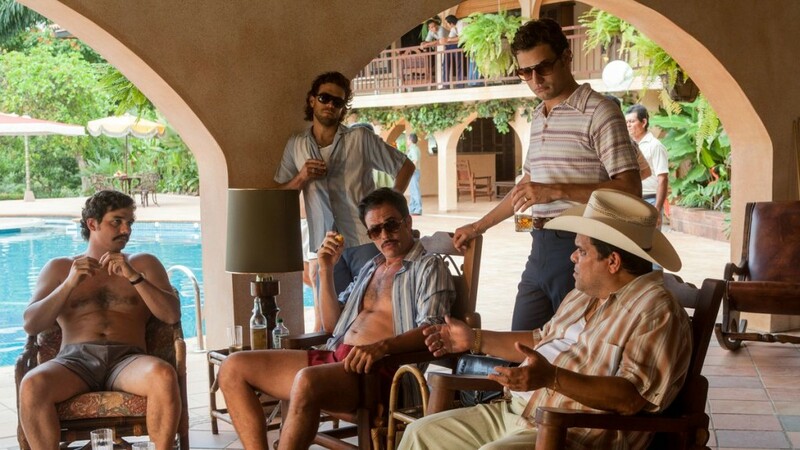 The show recalls the true story of the war against the cocaine crime lords in Colombia during the 1980’s and 90’s and in particular, the notorious Pablo Escobar (dynamically portrayed by Brazilian actor Wagner Moura), the charismatic drug lord who terrorized his country and forced the US government to lead an elaborate and decades long hunt to bring him to justice. Narcos is unique in that it delves on both sides of the war (both US and Colombian) creating some interesting character vignettes (including Escobar’s loyal to a fault family) that helps put a human face on Escobar, despite the mayhem he commits around him. The voice-over narrative of the other main character, Murphy (played by Boyd Holbrook), the American DEA agent sent to Colombia to bring Escobar to justice, colorfully explains to the audience the huge scale of the story and the numerous supporting characters along the way. The ten episode first season moves along at a brisk pace and is surprisingly never dull. It also never gets bogged down into meaningless subplots, and instead keeps the cat and mouse game between Murphy and Escobar as the focal point. 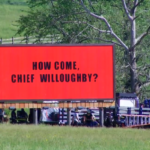 In addition, the use of real archival footage throughout the series brings an authenticity and eeriness to the proceedings and also serves to remind the audience that the events that took place were far from fictional. Some nice supporting turns round out the solid ensemble cast (including ‘Game of Thrones’ Pedro Pascal as Murphy’s local DEA sidekick) and Juan Pablo Raba as Escobar’s cousin. Produced by Brazilian filmmaker Jose Padhilla, (who also dealt with South American drug wars in the excellent Elite Squad films) the series has an authentic quality all around in the casting of local South American actors speaking Spanish, and filmed in and around Colombia which conveys a documentary type approach and feels very cinematic along with the authentic 1980’s period detail. 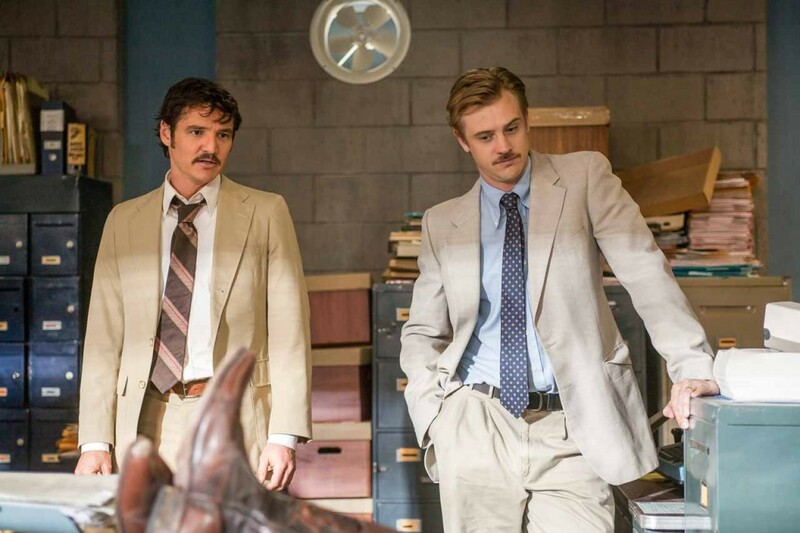 (L to R) PEDRO PASCAL and BOYD HOLBROOK star in NARCOS. Despite all this, the show still has slight issues including Murphy’s character being so much weaker in comparison to Wagner’s towering presence as Escobar, and some underwritten supporting roles (including Joanna Christie as Murphy’s bland wife). Overall however, ‘Narcos’ is an exciting and multi-dimensional take on a true-life war that brought a country to its knees and suffered endless casualties (on both sides) with no clear outcome. 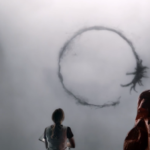 Netflix recently announced the show will be picked up for a second season in 2016. Robert was born and raised in England for most of his youth but relocated with his family to California where he began his dream of becoming a filmmaker. He soon made his way to New York City where he majored in film production at Brooklyn College and his short films won several awards and travelled to festivals in both New York and LA. He soon made his way back to LA where he worked on several TV and film productions on the major Hollywood studio lots. Robert later transitioned to becoming a writer full time and is currently developing several of his own feature scripts and a documentary. He lives in West Hollywood with his fiancée and puppy.